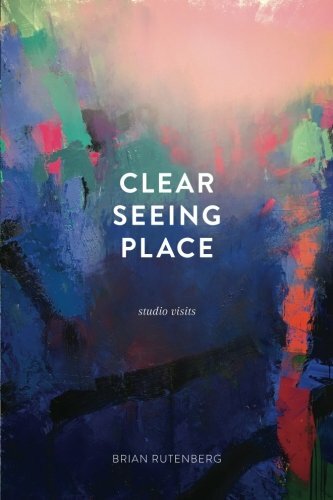 In his book, “Clear Seeing Place,” Brian Rutenberg recollects his life, from his upbringing in Myrtle Beach, South Carolina, to his current residency in New York. He reminisces about his childhood with wit, and humility from tales of his first “art project,” to the nationally acclaimed fine artist that he is today. Rutenberg was very successful in getting his point across from the perspective that there is no focal point, no real direction. Rather, his thought process is like herding cats at times, all the while keeping you entertained, and that is the beauty of this book. The author is a very eloquent writer as evident from the opening–“My first art lessons were wandering of ancient rivers like the Waccamaw, feeling warm pluff mud squirt between my toes as I ambled from one vantage point to another, desperate to contain the view for as long as possible.” In that one sentence, he paints a very detailed description that brings you along with him on his walk. He makes you feel the mud squish between your toes, and I can feel the sun on my skin, and cool water on feet. As an avid reader, I find it a great thing when a writer can bring you in their world. This book could be for a general audience just for the fact that it will keep the audience entertained by its amusing story telling. Although, I believe it is more aimed toward artists, or people who are into visual and performing art, the main reason being that he name drops different artists and if you have no knowledge of the art community, he will be speaking a foreign language. All in all, “Clear Seeing Place,” by Brian Rutenberg was a great read. I just wish he would have included more of his work (preferably in color). I fully enjoyed this book. It is one of the best reads I have read in a while.